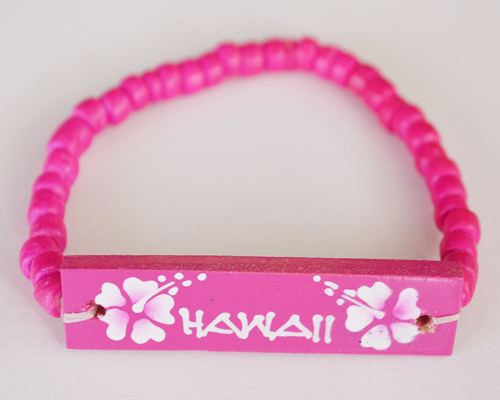 This Hawaiian style bracelet is created by tiny pink wood beads with a pink wooden ID plate, the bracelet is strung with elastic thread and stretchable, a hand painted of "Hawaii" word with two beautiful white hibiscus on the ID plate. 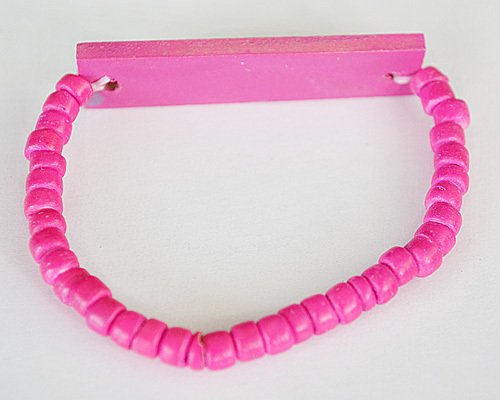 - Bracelet fits up to 6.5" wrist. - Light weight and unisex designed.